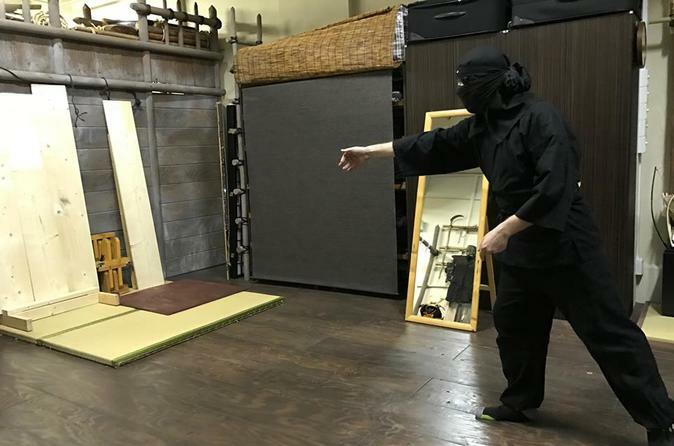 and learn 3 techniques (stealty steps, ninja star, blowgun or body mechanics) with your ninja instructor. Then you’ll change to a samurai outfit and learn swordsmanship and one of the following (boshuriken, jo staff, grappling or archery). This is ideal for the people who want to have both ninja and samurai experience on the same day. This is made possible with our family which is the only existing shinobi-samurai family in Japan. In the first half of the experience, you will learn 3 techniques with your shinobizamurai instructor. In the latter half, you will learn 2 techniques.